Lavery and Fondation Montréal inc. are pleased to announce the creation of the Lavery AI Grant offered to start-ups in the field of artificial intelligence (AI). Valued at $15,000, grant winners will also have access to the full range of services provided by Fondation Montréal inc., as well as legal coaching by Lavery, tailored to the needs of young businesses in the artificial intelligence industry. The Lavery AI Grant is an annual grant and will be awarded each spring by Fondation Montréal inc. and Lavery to the start-up that has made the biggest impact in the area of artificial intelligence and that demonstrates great potential for growth. 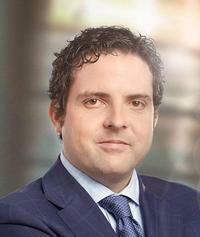 “With each passing day, Montréal is becoming the world city for artificial intelligence and six months ago, Lavery created an AI legal laboratory to analyze and predict the impact of AI in specific areas of the law, from intellectual property to the protection of personal information, including corporate governance and every aspect of business law. Our intention in creating this grant was to resolutely propel start-ups working in this activity sector and offer them legal guidance using the knowledge we developed in our laboratory,” stated Guillaume Lavoie, a partner and head of the Lavery CAPITAL group. “Young entrepreneurs are increasingly incorporating artificial intelligence into the core of their business model. We are happy that we can offer, in addition to the grant, services specific to this industry, thereby strengthening the role of Fondation Montréal inc. as a super connector with the business community,” remarked Liette Lamonde, Executive Director of Fondation Montréal inc.